When drinking at Izakaya (informal Japanese style bar) in Japan, sometimes sake is served in this style: server put a glass inside the Mase or sake saucer and pour until sake overflows from the glass. This mokkiri beauty is Ms. Hoshiko Yashiro, an announcer of Akita TV (AKT) who is active as a MC of various TV programs in Akita! “I am a sake lover and when I drink with my friend, after toasting with beer, I always order sake. I prefer to a little bit dry taste sake, and especially during the summer time, chilled style sake is quite tasty”. She gave such a comment with smiling. 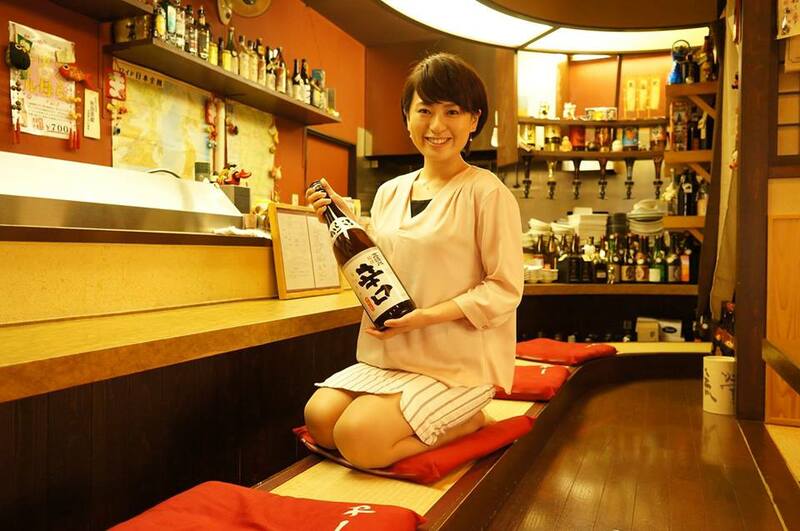 According to her, her parents are also sake lovers as well, and she doesn’t get flushed with alcohol. Why don’t you drink with our sales people who are also strong sake drinkers together?